While at university in America Julia's mum used to send her bottles of her homemade brew. Julia always thought its was the best recipe on the island, and her friends loved it too so she thought why not share it with more people! Sisserou is based on her family's recipe from Dominica. 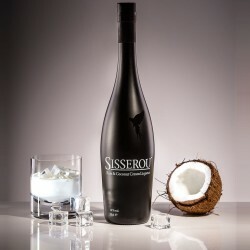 Less sweet than most available cream liqueurs, it is perfect for rum lovers, liqueur lovers, or any discerning drink lover looking for something different. Sisserou is named after the national bird of Dominica, the Sisserou parrot, and they support the ethos of the Dominican Conservation Association; a local organisation that protects the Sisserou and its rain forest habitat.